I suspect we have all done this: Timed the cams "properly" and then found the right hand side WAY out of adjustment. 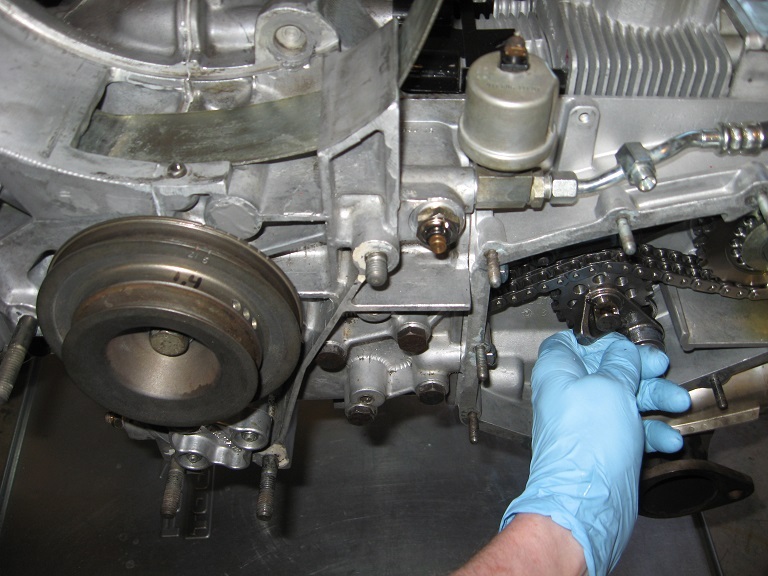 And hopefully you found it before you ran it, or otherwise avoided bending the exhaust valves. 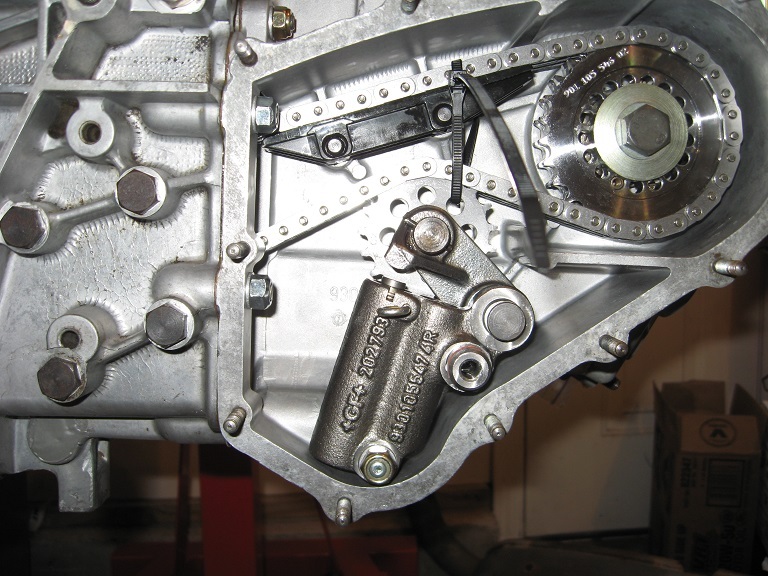 The problem is caused by letting the idler arm drop when you remove the clamp or mechanical tensioner for the hydraulic tensioner. 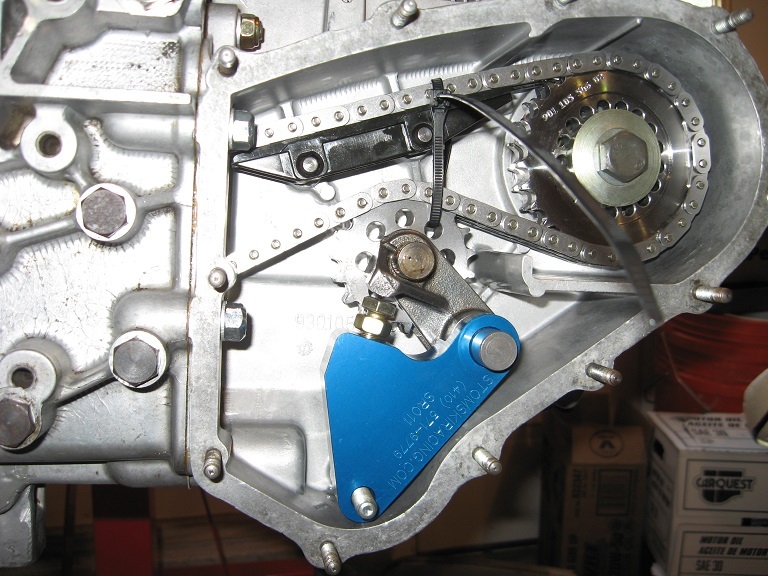 I PROVED that just be letting the idler arm drop, the chain WILL drop off the lower edge of the intermediate shaft sprocket, and you will UNWITTINGLY rotate the crankshaft a "small" amount to get the tensioner on. This is the dreaded cam timing jump happening. BTDT. You are now officially screwed. 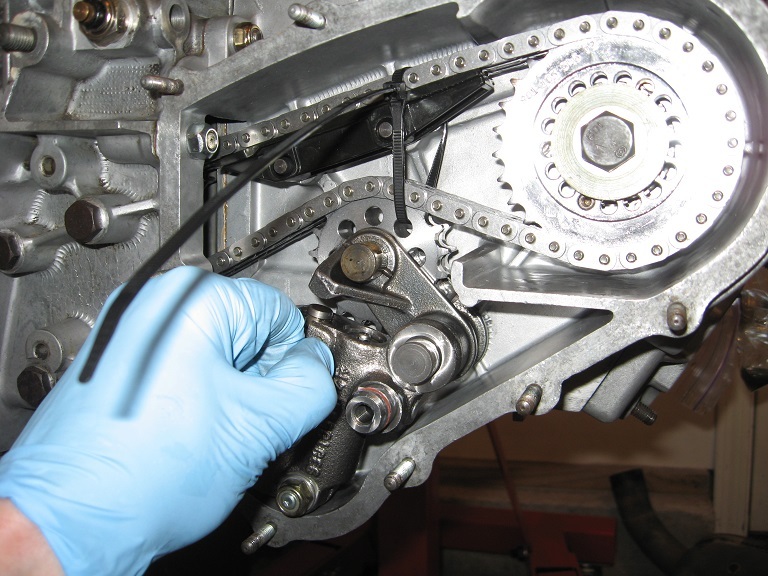 So then you rotate the crankshaft to "free the chain"
Left hand side is not as critical because the loose chain lays over the top of the intermediate shaft sprocket. 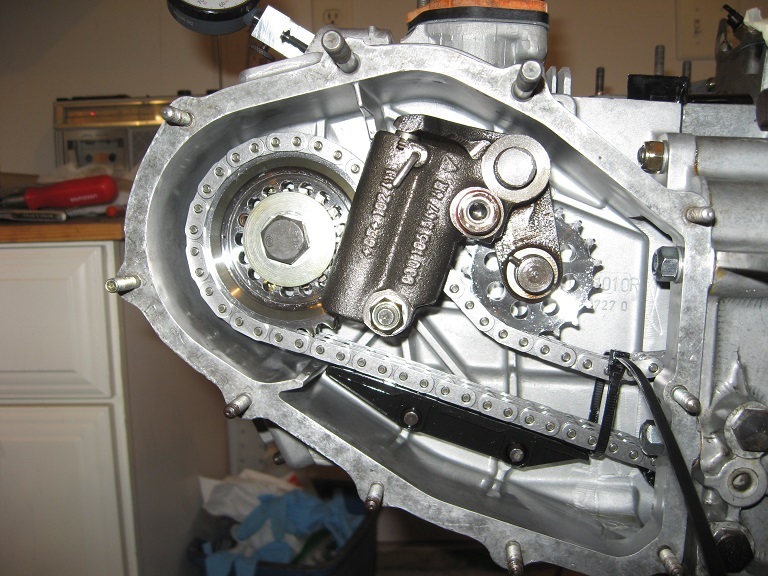 The tie wrap just makes sure the chain always stays in place between the cam sprocket and intermediate shaft sprocket. The picture is in you 13th nightmare build. TDC #1 before removing the tensioners and don't turn the crank when they're out. If all the rockers are in place instead of just two, like was suggested somewhere, the cams stay put. Thanks! I spent an incredible amount of time cleaning. I was, and still am afraid of dirt and grit contamination. Too much invested to let a moment of sloppiness ruin it. 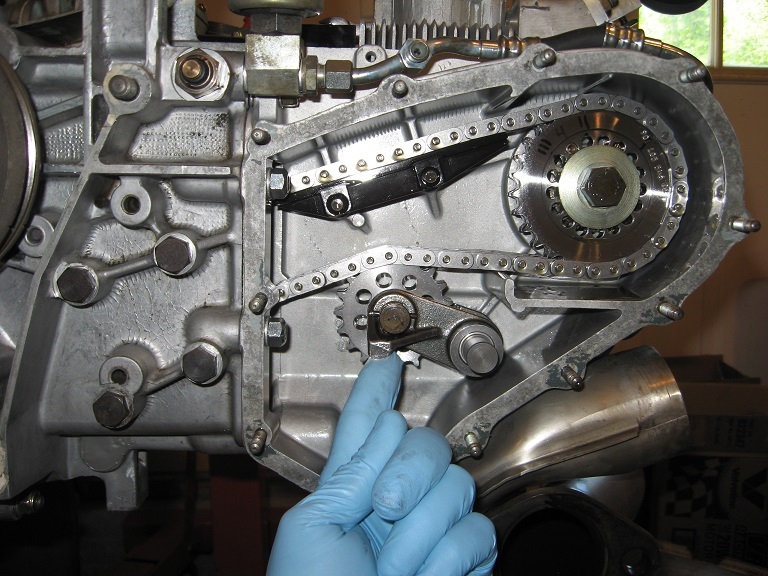 What happens is you don't realize that when you rotate the crankshaft, to get the hidden kink out, you don't rotate the cam, but the kink really doesn't go away. What you really did was reset the number of links between the two sprockets. And the idler locks this new count into position. 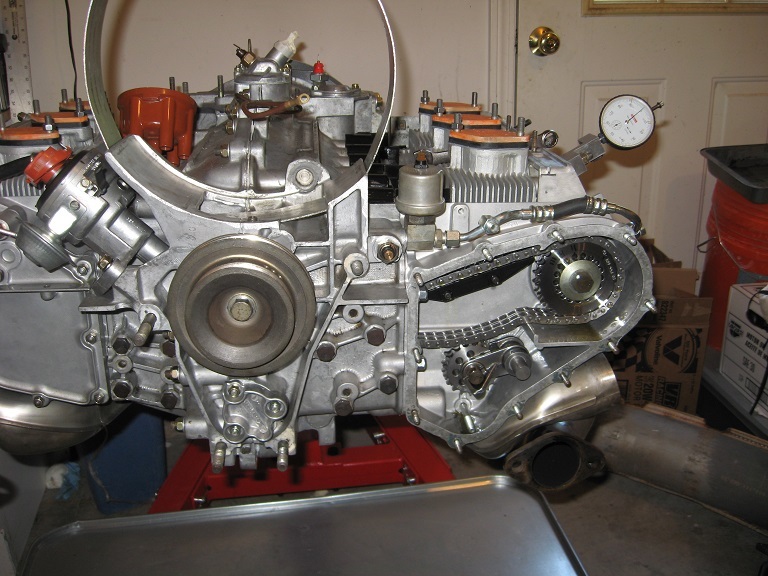 And why do you rotate the crankshaft? 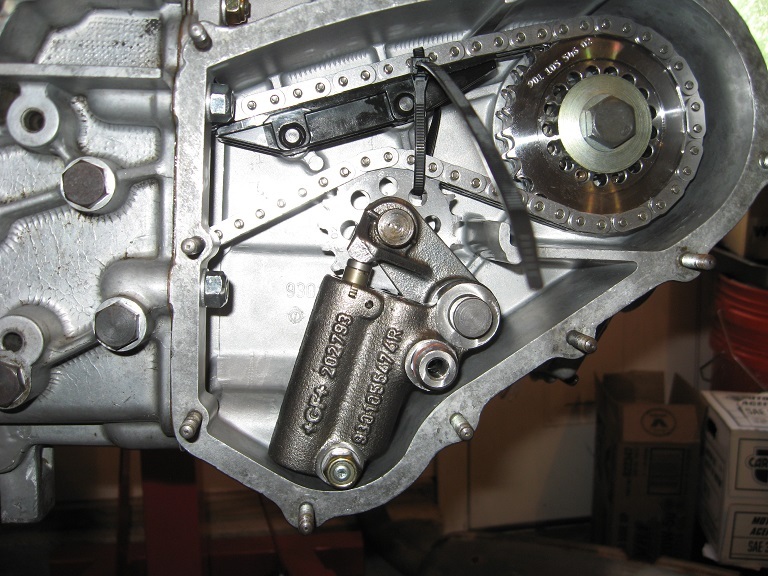 Becuase the kink prevents you from rotating the crankshaft in the opposite direction. It's jammed. The stage is set, you are about to screw up the rhs timing. Without being able to see into the case when this is happening, it is hard to get a picture of the actual kink. But it's there. And the results of my experiment proved to me what went wrong on my build. Wayne's book mentions the risk, but my only criticism is this caution is buried in many long paragraphs, and frankly I missed it. I think a dedicated paragraph and highlighted caution would be better.